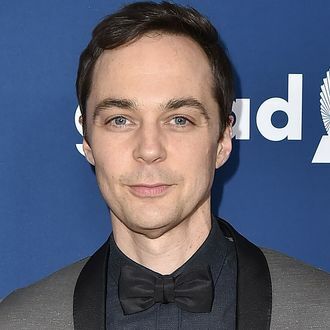 Jim Parsons was injured at a matinee performance of The Boys in the Band on Saturday in New York City. According to those who attended the show, The Big Bang Theory star tripped when walking out for a curtain call. After his injury, the show canceled its Saturday evening performance. At the next scheduled performance on Monday night, Parsons’s standby Matt McGrath went on for him. The Boys in the Band is a Broadway revival of a groundbreaking 1968 play by Mart Crowley that tackles the lives of gay men in the pre-Stonewall era. This run celebrates the play’s 50th anniversary with an ensemble cast that includes Parsons, Zachary Quinto, Andrew Rannells, Michael Benjamin Washington, and Matt Bomer.